The New York Rangers have acquired defenceman Adam McQuaid from the Boston Bruins for defenceman Steven Kampfer and two draft picks. The New York Rangers have acquired defenceman Adam​ McQuaid from the Boston Bruins for defenceman Steven Kampfer and two draft picks. The teams announced the trade Tuesday before the Bruins flew to China for two exhibition games. McQuaid is from Cornwall, P.E.I. Boston gets a 2019 fourth-round pick and a conditional seventh-rounder in a move that clears space for younger players on the blue line. New York adds size and experience with the addition of the 6-foot-4, 212-pound McQuaid, who has played 462 regular-season NHL games. McQuaid, who turns 32 in October, has 66 points in his career and one year left on his contract at a salary-cap hit of $2.75 million. 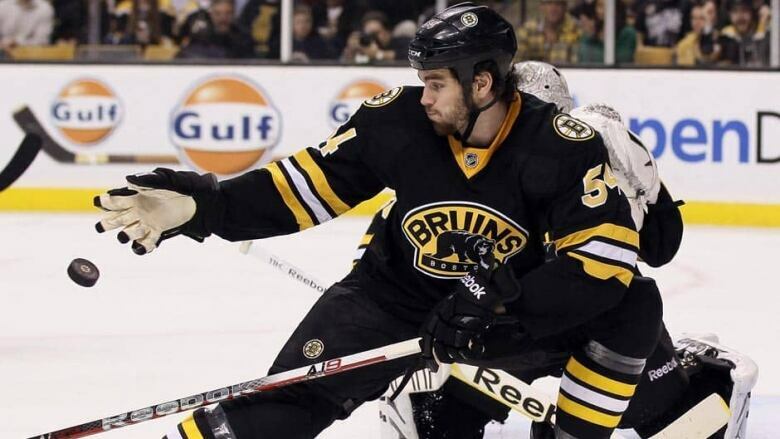 Kampfer, who turns 30 in late September, returns to the Bruins after being drafted in 2007 and making his NHL debut with them in 2010. Look out for this growing invasive plant species on P.E.I.